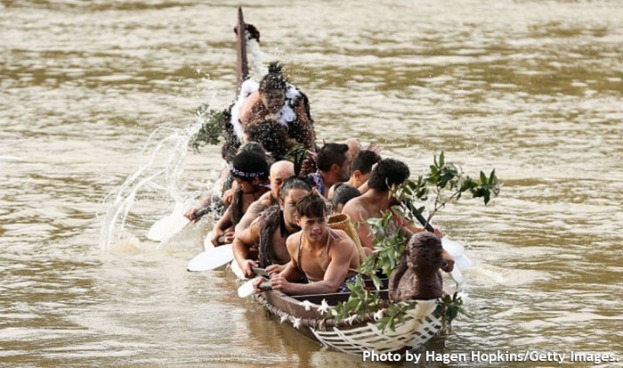 In March of 2017, New Zealand passed a bill making the Whanganui River the first one in the world to hold the same legal rights, responsibilities, and liabilities as a human being. For the Maori people it was the climax of a 140-year struggle to recognize the river as an ancestor of the tribe. In his report on this rights issue, David Korten of Yes! Magazine affirms that polluting or damaging this river henceforth will be the legal equivalent of harming a person. Citing the New Zealand law as a precedent, a court in the northern Indian state of Uttarakhand gave the Ganges River and its main tributary, the Yanuma River, the status of living human entities. Although Korten salutes this triumph for Mother Earth, he raises some relevant questions about the new law and its meaning in a time of ecological disarray and humankind's refusal to work together on the catastrophes heading our way with climate change. Here's something to think about: What elements of nature do you think ought to have the same rights as humans?